We were sent a few of these very unusual bucket lids from Jess at Planetary Design to test. 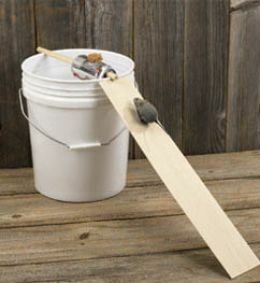 What makes them unlike other 5 gallon bucket lids (such as the very popular Gamma Seal lid) is that the lid actually sits INSIDE the bucket. 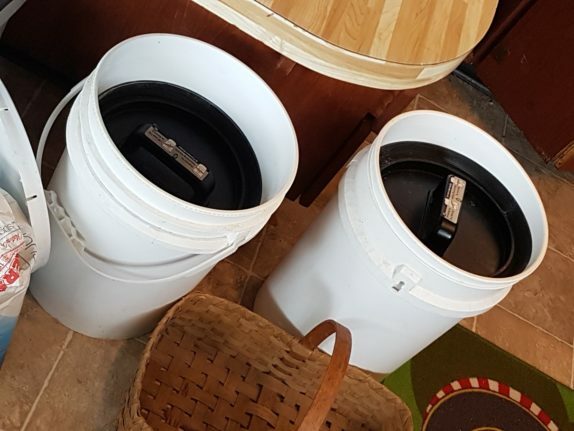 Technically that would make it a bucket INSERT that serves the same role as a lid, paradoxically occupying some sort of theoretical demilitarized zone between the two extremes. At peak efficiency, our hens lay 95 eggs daily. Eggs must be washed for sale, so to save time we clean them in batches of 400 at a time every few days. It still takes over an hour to wash all those eggs (9.85 seconds per egg), so we’ve been hunting for an inexpensive egg washing machine for years. 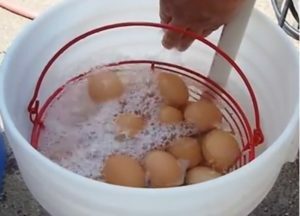 We built two versions of the bubbler egg washer, but they often broke eggs and did not clean the eggs to sellable condition. And since it has to be used outside, the egg bubbler is not useful in winter. 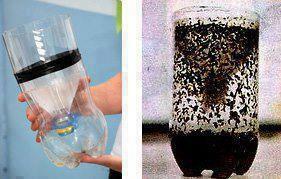 Most of the tabletop egg washers we researched cost over $1000, or are cheap but do not offer significant time savings. Some are cheap and fast, but do not clean the eggs well. 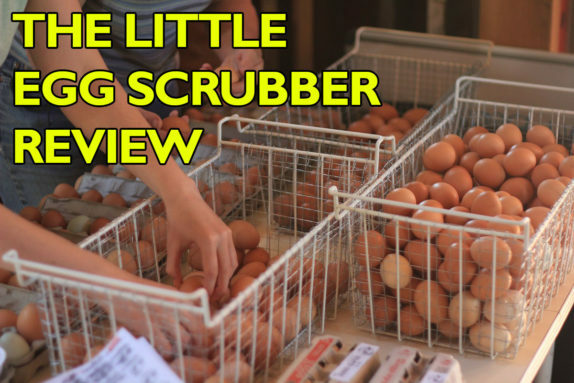 Then a reader posted a link to his new product,The Little Egg Scrubber. We asked if he would like us to test the unit, in exchange for writing this review. He agreed. I bought an emergency kit last year for my car. It gave me “peace of mind” and all that warm fuzzy marketing crap – but I ran into a problem when I actually had to use some of the stuff from the kit during a camping trip. Specifically, my kit had one of those hand crank flashlights – and the lever part was so crappy that the handle broke off after -literally- two minutes of use. Good thing I only had a midnight toilet emergency and not a real emergency. 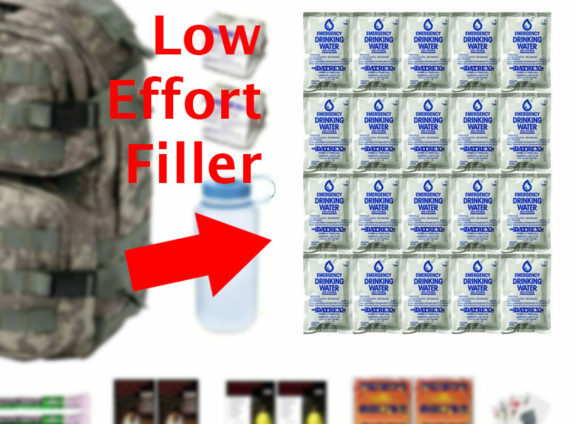 When half your kit by weight is cheap as dirt packets of water, you’re not looking at good value for money.